Posted on 04/05/2016 in Game Recaps. 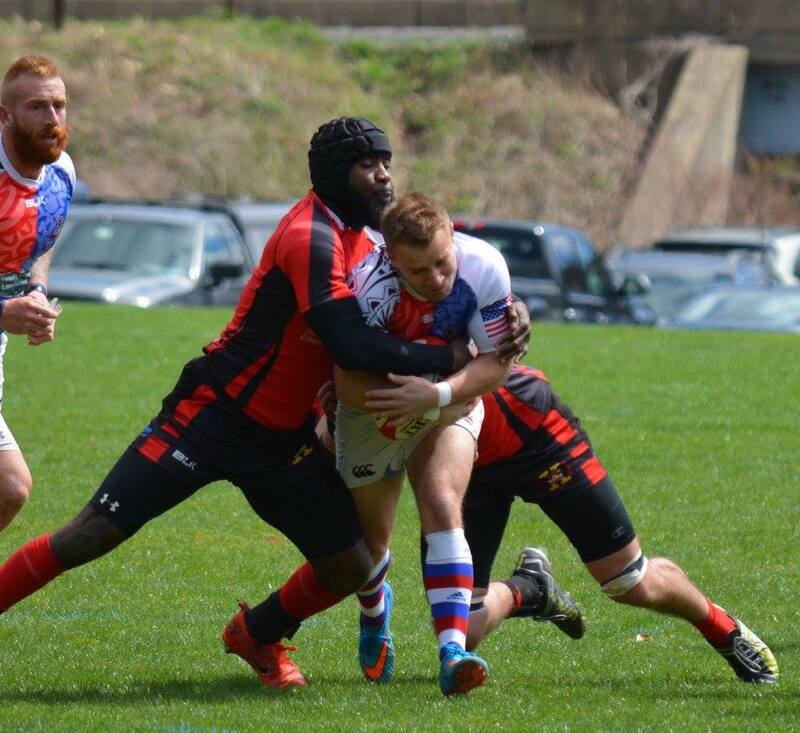 In a rematch of last week’s game at Potomac, Pittsburgh repeated the final result beating the Exiles, 24-20. With the win, the Harlequins have clawed their way into fourth place in the division. The wind plagued both teams causing penalties throughout the game, but Pittsburgh used it to its advantage to close the game. The first half ended with Pittsburgh taking advantage of an Exiles yellow card to lead 12-8. The Harlequins’ Mitchel DePellegrini and Luke Titus scored tries and Ted Sheedy tacked on a conversion. Matt Quigley began the game with a penalty and Robert Newcomb ended the half with a try for Potomac. Jake Smith started the second frame with a try for Pittsburgh and Zach Jessell followed in the 60th minute to extend the lead to 24-8. Potomac’s comeback attempt was on with tries by Kevin Kimble in the 62nd and Dominique Smith in the 71st. In the final minutes, Pittsburgh controlled the ball and kept pinning Potomac back in their end. With the wind behind them, the Harlequins finished the game to win 24-20.